1957 Ferrari 250 Testarossa Sales Brochure # M-151 - REPRINT ! 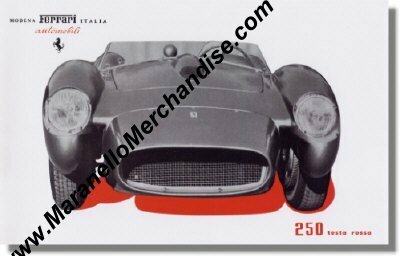 This is a REPRINT of the Ferrari 250 TR brochure as mentioned in Richard Merritt's book on page 151 - 154. 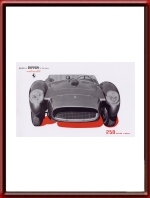 The cover shows a frontal view of a 250 TR, the first page shows a lateral view, the second lists the spec and the rear cover shows the engine & transmission. It measures approximately 22 x 14 cm or 9 x 5.5 inches.